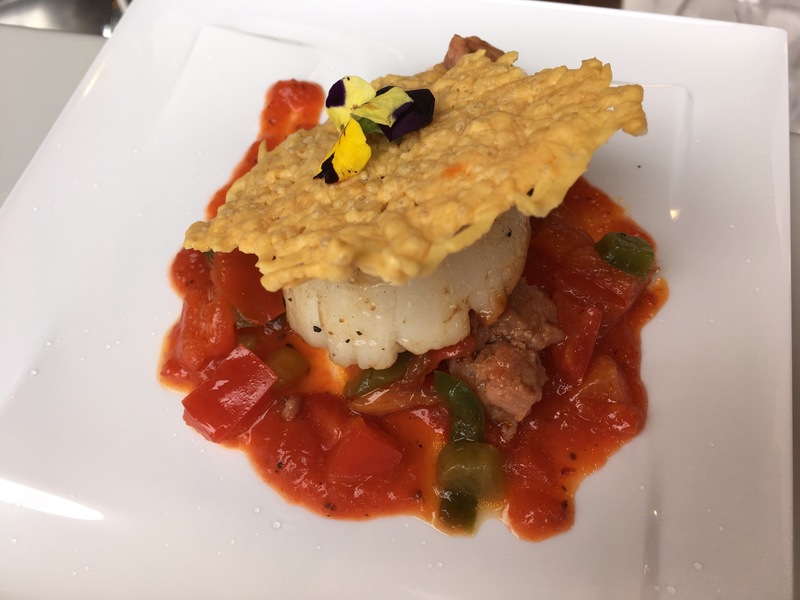 “Food & Art” Flash Report: Pan-Seared Scallop with Chorizo – The Artist’s Table | It's "All in WDW"
I mentioned this in one of yesterday’s posts, but my poor scallop was ice cold. Tasty, but cold. It’s the intricacy with which Epcot is constructing these artistic masterpieces, folks. What happened was this … they spent a lot of time building my pork roulade. By the time they delivered both dishes, the scallop was cold. I really need to go back for a second sample. To be honest, the scallop looked to be perfectly prepared. ← VOTE! It’s the Grand ‘Parks Table Service’ Finale!